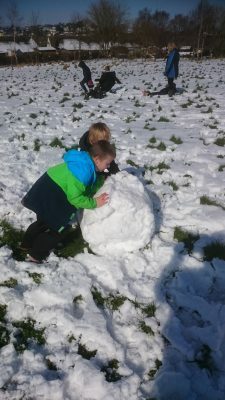 What a great opportunity for team work the recent snow brought. 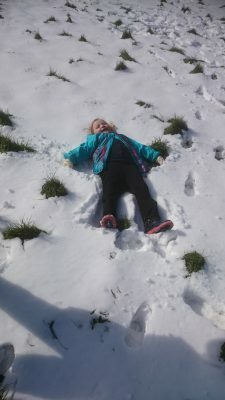 At break time, we were able to trek down onto the field and explore our very own arctic environment. The children (and adults!) 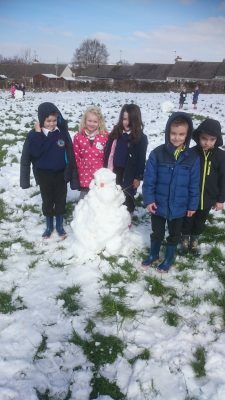 had a wonderful time working and playing together, seeing who could build the biggest snow ball and then turn it into a snow man. Thank you Fiona, in the Kitchen, for the carrots. Without those, our snowmen would have had no noses. How does a snow man smell without a nose?